Peaceful. Pastoral. Private. A unique chance for complete off-grid living! Who doesn't yearn for the simple life? Here's your once in a lifetime chance to embrace a life of self-sufficiency away from the hustle and bustle with nothing but an abundance of gum and fruit trees, views and solitude for miles. Escape the hefty utility bills and live with plenty of room and resources to run your own livestock and grow your own food. With priceless views, this eco-friendly acreage is your new lifestyle sanctuary that embraces all things sustainable and energy efficient. It's a paradise that you won't want - or have - to leave! Simply move in and start your new off-grid life! Completely set up and ready for you to move in and begin your life changing experience on thirty six hectares as you live off homegrown produce. The luxury of space affords you a sustainable living and farming opportunity, one where you can live in harmony with the environment with blue skies and green rolling hills as far as the eye can see. 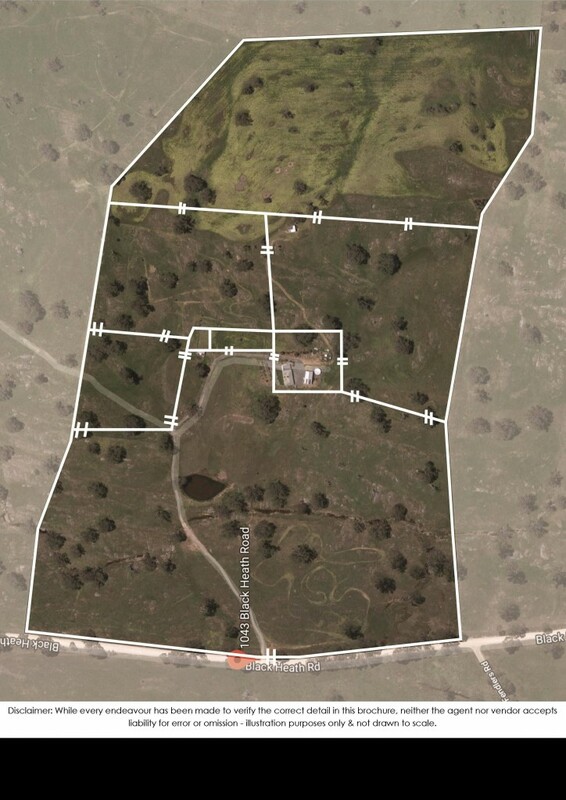 The infrastructure is all ready to go: a fully fenced property with electric and cyclone fencing, sheep yards and ramp, chook house, pigeon house, greenhouse and five main paddocks, two holding paddocks plus a seventy two bale hayshed. The largest shed contains a workshop area, mezzanine storage, bonus undercover parking and is connected to solar. It's also the perfect little entertainer with a games room and bar so Christmas and family celebrations will be held at your place! This in demand property is fitted with fourteen panels and a 2.5kWh solar energy system, 5kWh inverter and 28.8kWh battery capacity, you can power the entire property, including the hot water, and say goodbye to expensive electricity bills. The property has its own dam that has never been dry and over 150 000 litres of rainwater storage to capture that delicious amount of regular rainfall and is gravity fed back to the house. Plus, there's a septic with grey water tank and two soakage trenches that are perfect for watering your very own fruit orchard. As added rural charm, the glistening winter creek runs through the property. The plentiful fruit orchard already contains an array of established trees including stone fruits (cherry, peach, apricots, avocados and more), a variety of citrus (orange, lemonade, mandarin and more) and seeded fruits such as apples and pears. Once you've picked baskets of fruit, take them inside to the contemporary, spacious kitchen. With gas cook-top, Miele electric oven and other modern appliances, you'll continue to turn your homegrown produce into delicious cuisine for the family or sell at the local farmers market. The modern home is perfectly suited to family and guests, with two living areas and a well-designed, large kitchen with sleek cabinetry and a stylish tiled backsplash. Perfectly positioned to take full advantage of the great views, the homestead is beautifully finished throughout with exceptional attention to detail; and the outlook from the kitchen is certainly something special. Step through glass sliding doors onto your own alfresco dining area, complete with shade sail and more stunning views, or take to the undercover barbeque area/double carport in the wet weather. But the life of self-sufficiency doesn't mean you have to forego comfort. The house offers contemporary design that is effortless to maintain with plenty of windows and light filled rooms. 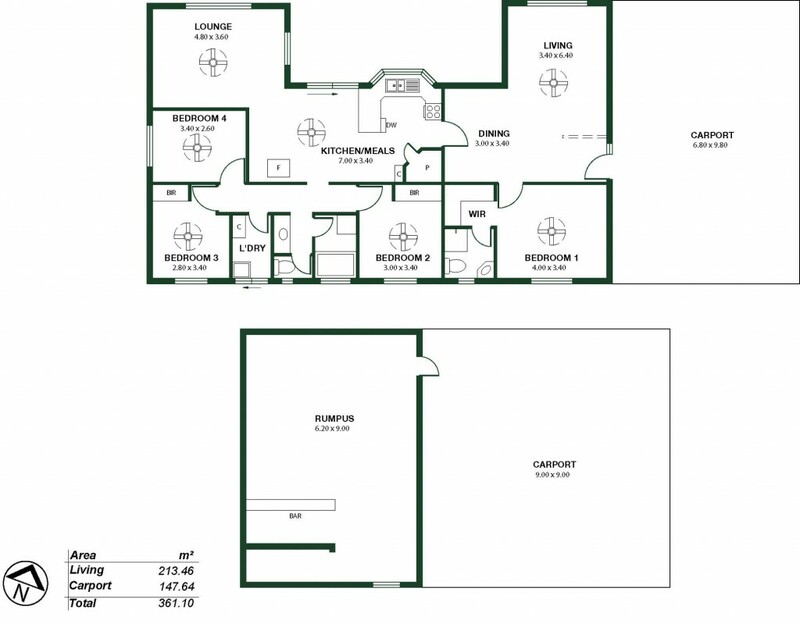 The master bedroom has its own ensuite and walk in robe. And with a slow combustion heater, double insulation in the ceiling and ceiling fans, you stay the perfect temperature all year round in all of the generous sized rooms. The kids can easily catch the school bus to Birdwood Primary or High School and Mt Torrens Primary School is also not far away. Townships of Tungkillo or Mount Pleasant offer nearby communities and this is all approximately an hour from Adelaide; one great location and lifestyle.